More than 1500 web developers, mobile app developers, software engineers, and others who work with Web platform technologies gathered at this annual event. 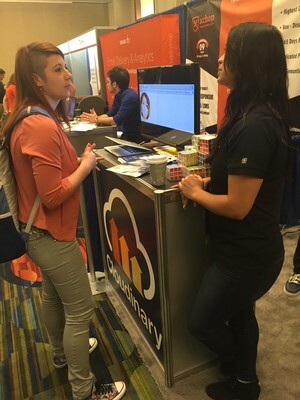 Cloudinary – which was named a Fluent Innovator – did demos of its solution in the exhibit hall. There we met with developers from Microsoft, Go Daddy, Pay Pal and Survey Monkey, to name a few. 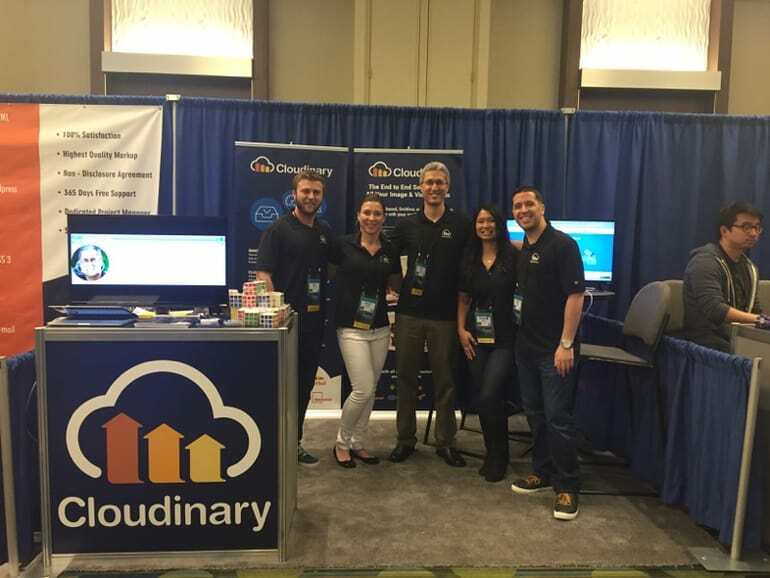 Some of the visitors to our booth had heard of Cloudinary but never seen it in action, and others were learning about what we could do for the first time. Many of those who we talked to, and did demos for, were using in-house image management tools, and hadn’t considered relying on an external solution for this task. We were able to show them the benefits of having a third-party partner assist with these tasks. Fluent wasn’t all business. Like at eTail West last month, we had some fun at our booth. The Rubik’s Cubes were again a huge hit with attendees, getting snapped up quickly. But at this show, attendees were promised a bit of help, as we provided them with instructions on how to solve the puzzle. The Fluent conference was our last event for a couple months. We’ll hit the road again in June with three conferences – AWS Summit in Tel Aviv on June 16, Velocity in Santa Clara June 20-21 and the You Gotta Love Frontend Conference in Tel Aviv June 27-28. Hope to see you at one of these upcoming events!